The World Conservation Union, Founded in 1948, brings together States government agencies and a diverse range of non-governmental organisations in a unique world partnership over 800 members in all, spread across some 136 countries. As a Union IUCN seeks to influence, encourage and assist societies throughout the world to conserve the integrity and diversity of nature and to ensure that any use of natural resources to equitable and ecological sustainable. The World Conservation Union builds on the strengths of its members, Networks and partners to enhance their capacity and to support global alliances to safeguard natural resources at local, regional and global levels. The Strategies For Sustainably Program of IUCN works to strengthen strategic planning, policy and implementation skills aimed at sustainability development at global, national and local levels. Working with networks of strategy practitioners from member governments, partner institutions and NGOs the programme assists in the conceptual development and analysis of experience of strategies, the development of a range of strategic planning and action planning skills and improved methods of assessing human and ecosystem well being. 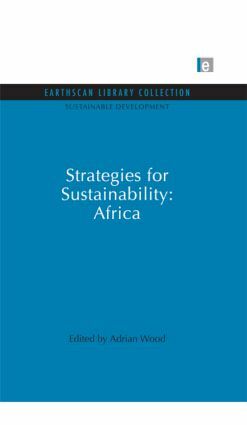 This volume, originally published in 1996, reviews more than a decadeof experience for sustainability in 12 African countries. These countries provide examples of very different approaches to strategy development and implementation. Many have been involved in the development of the National Environmental Action Plans (NEAPs) at the request of the World Bank. Other countries have developed their strategies independently, or have prepared National Conservation Strategies withe support from the IUCN.